OBESITY is not only a big social issue; it’s also big business. New diets promising fast results with hardly any work at all emerge almost daily. Yet, the problem is not getting resolved, far from it. Whether they are celebrity endorsed or science based, popular or easy to follow, all weight loss diets have one thing in common, well, two things actually. Their effects are short-lived and somebody is earning big bucks encouraging you to follow them anyway. Dieting is not a new phenomenon. George Cheyne, himself a tremendously overweight English doctor, published “An Essay of Health and Long Life”, based on his own experience with the benefits of exercise, fresh air and the avoidance of luxury foods in 1724. The popularity of the first widely followed diet, “Banting”, named after its creator, undertaker William Banting in 1863 was such that, “do you bant?” soon became a conversation starter in the fine salons of the rich and famous who could afford to eat more then they should. Banting’s pamphlet advertising the benefits of avoiding sugar, sweet foods, starch, beer, milk and butter not only remained in print until 2007 and is available on-line, it is still the model on which modern diets are based today. In the last 25 years or so, the same principle of reduced carbohydrate or calorie intake has been renamed Atkins, Scarsdale, Zone, Protein Power, Weight Watchers, South Beach, Dukan, Paleo, or Keto, to name a few. Bookstores, on-line libraries and magazines are filled with new advice for ever more promising results. The outcome however, remains the same. We are determined to drop a few sizes, we feel elated with early success and then we promptly return to our old habits. We eat too much of the wrong, but so very tasty, foods and the dreaded yoyo-effect ensues. If only we hadn’t overlooked the little side note of Dr. Cheyne’s, promoting exercise and fresh air! Prior to moving to Malaysia, I was a firm believer in the stereotype of all Asians being slender. I assumed that substituting rice for bread would be the solution to all my weight problems. Of course, that was before I discovered the local roti. But blaming my misconception on the warm and fluffy Malaysian flatbread would be doing it a grave injustice. Modern amenities have a far more important impact on our wellness than we care to admit. We use vacuum cleaners and fully automated washing machines to perform household chores. We drive absolutely everywhere. We order food, clothes and household items online to be delivered to our doorstep. We even use escalators and elevators to reach the gym. And what do we do in our spare time, especially in Malaysia? We go to the shopping mall on the weekends. We do walk for hours inside these beautiful temples of consumerism; I’ll give you that. But where do we inevitably end up? Either in the food court gobbling up fried goodies, or at the movies stuffing ourselves with popcorn and soda. So here it is again, we forgot about George Cheyne’s advice regarding exercise and fresh air. Malaysia, or more specifically the Klang Valley, as this is the area I know best, has such an abundance of green outdoor spaces. 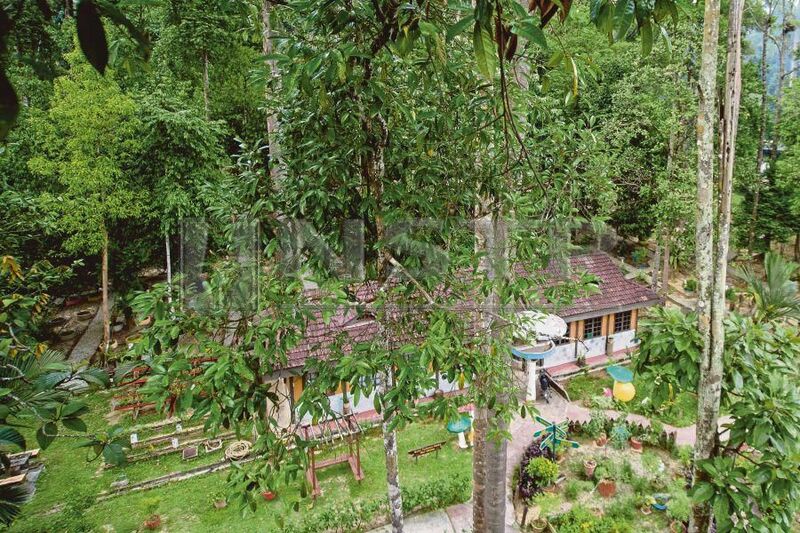 Desa Park City for the urbanely inclined, Perdana Botanical Garden, formerly known as Lake Gardens for the plant enthusiast, Bukit Kiara Park and the TTDI trail for the sports bug, FRIM for the lover of all sorts of bugs. Or how about Taman Botani Negara, Shah Alam, if you are the cycling or fishing type, Putrajaya Botanical Garden, if water sports and picnics tickle your fancy. If recreational outdoor parks were as popular a weekend destination as shopping malls are, we wouldn’t need to busy ourselves with the outlandish claims of Alkaline, Baby Food, Blood Type or Grapefruit diets and the sort so much. And we could still enjoy our roti canai guilt-free.